This ensemble of two pieces presented here is self-explanatory and it appeared obvious to show them together as they are closely tied. 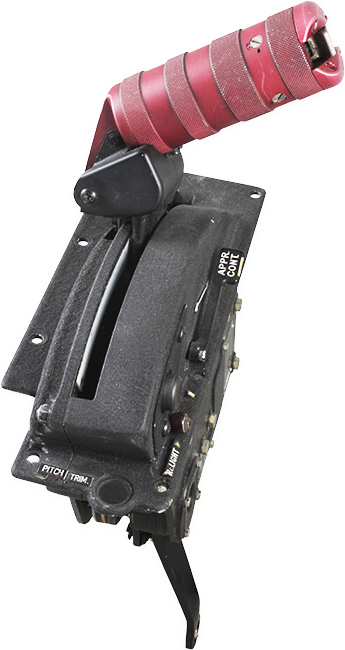 The first item is a Mirage III B throttle. 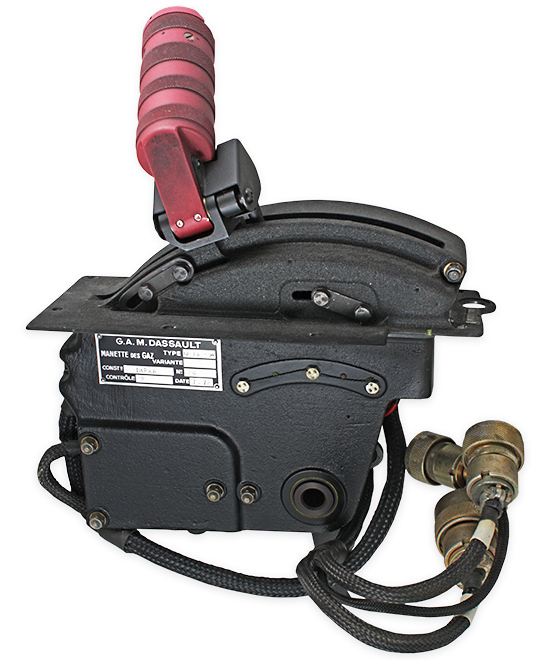 It is in excellent condition and was likely never fitted on an aircraft. This very nice piece can be displayed as is, or mounted on a base. 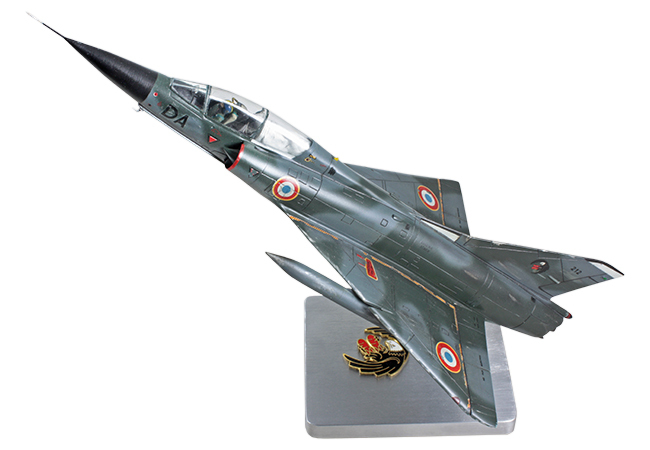 The second item is a Mirage III B model. This piece is very finely assembled, painted and with a nice patina. 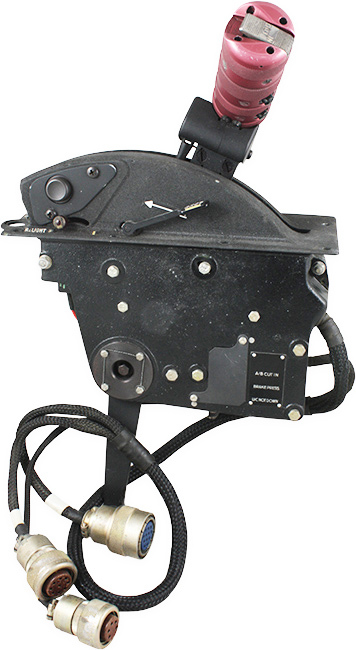 Its base displays the aircraft’s unit insignia and distinguishes it from other similar models. 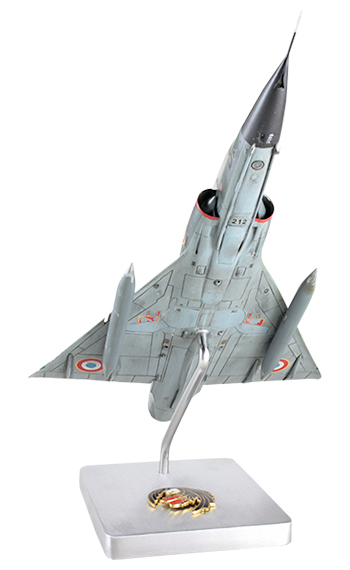 This model of the Mirage III B which can fit in a small space on a shelf, will enchant the connoisseurs!